Poiana Brasov, a jewel of nature! We want to dedicate this post to a special place, Poiana Braşov, a place that will surely not leave you indifferent, and when you discover it, you will want to come back every time you have the chance. Established in 1895, Poiana Brasov served as a tourist destination for Brasov. The first chalet was built in 1904. In 1906 Poiana Brasov was recognized as a winter resort and three years later, the first winter competitions took place. In 1951, the international winter games of the students took place. Nowadays, Poiana Braşov is a small well-optimized mix of houses that combines accommodation services, facilities, spaces for organizing large conferences and events in an attractive natural setting. Poiana Brasov is Romania´s no. 1 mountain resort and is at the foot of the massive Postăvarul, at an altitude of 1,030 m. The average temperature is during summer of 20 C and in winter of -3 Celsius. Snow exists from mid December until the end of March, and the thickness the snow layer is an average of 50-60 cm. It has 9 ski slopes and is equipped with two cable cars and a telegondola that provides tourists access to Postavaru’s heights, plus several teleski lines on a seasonal basis. Poiana Brasov is also the ideal place for spending the summer months. The mountain climate, with ozone-rich air, the artificial lake that offers plenty of recreational opportunities, the marked trails leading hikers, offering stunning scenery, comfortable accommodation, etc. fully justifies the international reputation of this resort. The resort enjoys a privileged position due to its location near the city of Brasov, renowned for its old architectural monuments and for high-rise buildings and facilities. In fact, Poiana Brasov is framed in a constellation of tourist resorts located along the Prahova and Timis valleys and in the Bucegi, Gârbovei, Piatra Mare and Piatra Craiului Mountains. To these mountains you can take various excursions to visit many tourist attractions. Similar for the natural conditions with other mountain tourist resorts such as Chamonix, Zakopane or Cortina D’Ampezzo, Poiana Braşov has earned a well-deserved reputation by harmoniously integrating the tourist facilities, the broad possibilities of practicing winter sports and the good rest conditions and recreation at any time of the year. 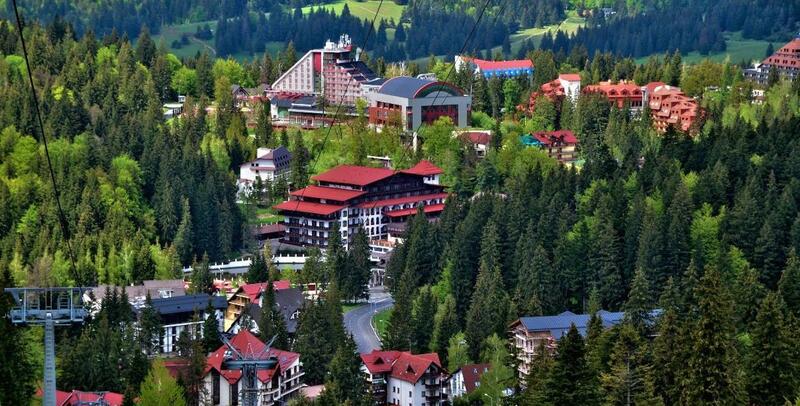 Viewed from the height, Poiana Braşov resort seems a small oasis in the mountainous kingdom, dressed in the green cloth of the spruce and beech forests, where the villas and the hotels with architecture as varied as modern, create a plus of picturesque. 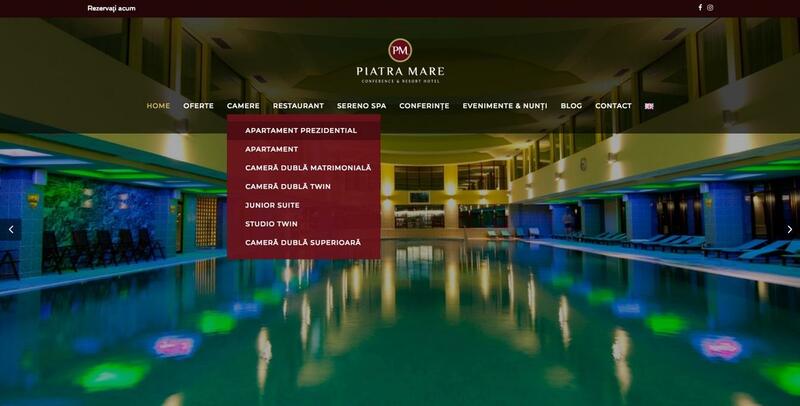 Piatra Mare team is waiting for you and will be delighted to help you discover the most impressive places in this little paradise! Previous StoryWe launched our new website!